[PDF] The Media Teacher's Book | Free eBooks Download - EBOOKEE! 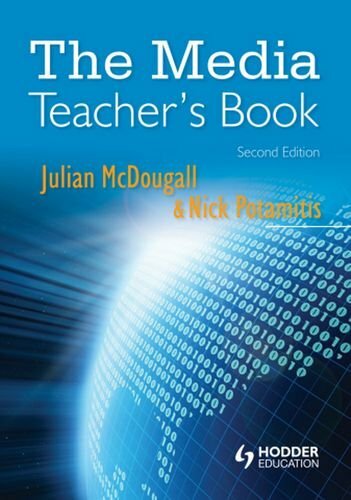 Description: In a rapidly changing media landscape, THE MEDIA TEACHER'S BOOK SECOND EDITION and website is the one-stop shop for all media teachers, whatever your level of experience. Providing you with invaluable lesson ideas and guidance through key areas that form the core of all specifications, whether you are teaching GCSE, A-level or Creative and Media Diplomas and BTECS, you will find this an essential teaching tool. THE MEDIA TEACHER'S BOOK SECOND EDITION offers you: - a strategy for contemporary media teaching based in active, practical learning - access to 100 easily implementable, time-saving lesson ideas for approaching concepts and content - sound advice on preparing lessons effectively - strategies for raising achievement among your students - guidance on how to assess your students' work effectively - practical advice on best practice for teaching specific areas. The authors combine the experience of a principal examiner and media teaching expert with that of a practised classroom teacher leading the delivery of new media qualifications in a successful and well-respected sixth form college. No comments for "[PDF] The Media Teacher's Book".